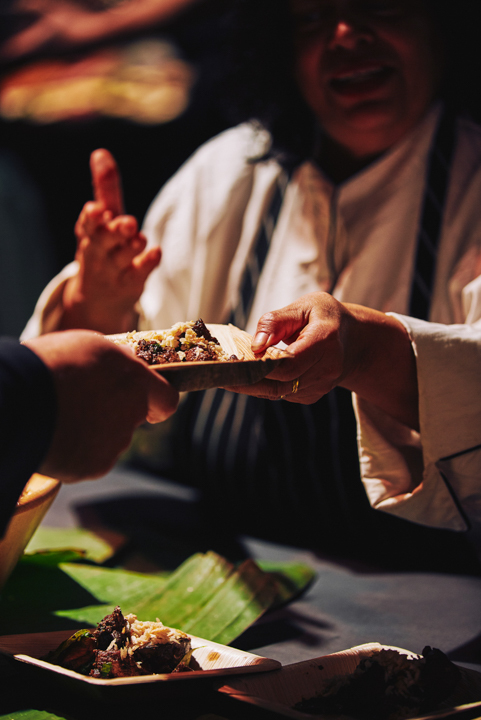 In her Tasting Australia event, Mumbai to Adelaide, Adelaide chef Ragini Dey will take you on a gastronomical tour through one of Australia's most under-rated and oft-misunderstood imported cuisines. A lot has changed in Adelaide’s understanding of Indian food culture since 1982 – the year chef Ragini Dey moved to South Australia – but there’s still a lot left misunderstood. The dining culture that Ragi saw at that time was one where restaurants were largely treated as venues for special occasions, and dining out regularly equated to visiting a restaurant once a week, and of those restaurants, maybe one per month would be Indian. With such limited exposure, it was difficult for the Australian market to develop anything more than a surface-level understanding of Indian cuisine. “In those early years, as far as I was concerned, everything was butter chicken, or beef vindaloo, or lamb korma, or lamb rogan josh. Nobody ever had dal or vegetables or anything like that,” Ragini says. In 2019, the dining culture is markedly different. Health is a strong consideration amongst consumers, meaning smaller portions and menus that are more inclusive and less meat-centric; and as we (i.e. Millenials) collectively decide to put off family until later in life, while simultaneously working ourselves into the ground, the decision to use the cash we’re not spending on raising kids to pay other people to cook our food becomes ever easier to make (and could do wonders for your relationship, FYI). In her upcoming Tasting Australia event, Mumbai to Adelaide, Ragini will chart these changes in our dining habits, in Indian food and more generally, through a multi-course dinner that will start with one of the most prevalent, but still misunderstood dishes – butter chicken. “Real butter chicken is actually a barbecue dish that is cooked in the tandoor, which is really barbecue” Ragini says. “People don’t understand that Indians have this huge barbecue culture, and with vegetables as well, not just meat… but nobody talks about Indian barbecue, which is huge. “This is really funny because most people – especially in 1982 – they didn’t even have a tandoor in the restaurants, and they weren’t even cooking in the oven, because they could do that, but they were just making a curry. From this starting point, Ragini will take her guests through the Portuguese origins of vindaloo (“people think Indian food is all hot, but we never had the chilli until the 16th century”); the rise and influence of street food, takeaway and more casual styles of eating in the early 2000s; and her experience of bringing more modern and playful variations on Indian food to Adelaide – including the naancho, an invention she debuted at Tasting Australia three years ago and which will soon have its own restaurant, Naancho Man, next door to Ragi’s Spicery. Ragini is constantly playing with new concepts – she recently debuted the ‘samosa floater,’ striking fear into a vocal group of patriotic South Australian hearts (“I never said I wanted to replace the iconic pie floater, but… my god, all those comments”). An important lesson in the long history of Indian cuisine, though, is to never hold on too tightly to concepts of purity and authenticity. “India especially has had so many influences, from the old Mughals and the French and the Portuguese and the English, of course, so we can’t really say that we can’t try this ingredient with that, because it’s been happening all through history,” she says. “It definitely has to be rooted in history, every dish. You can change it, and you can see how it’s changed, but it started somewhere. Ragini Dey’s Tasting Australia event, Mumbai to Adelaide, is happening at 12:30pm Sunday, 7 April, at Ragi’s Spicery, 1/210 Hutt Street. Tickets are available via the Tasting Australia website. Naancho Man is set to open next door to Ragi’s Spicery by mid-May.